Arylide Yellow G is a variant of Hansa Yellow G (PY1). It is a transparent yellow with great brightness and tinting strength. Its drying time ranges from average to slow. 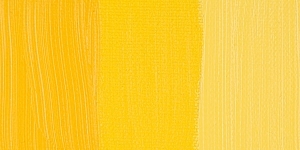 Hansa Yellow pigments make more intense tints and cleaner secondaries than Cadmium Yellows, especially when mixed with other organic or modern colors like Phthalo Blue and Green. Because they are more transparent, they have great value as glazing colors. Hansa Yellow G has good permanence and lightfastness, particularly in the lighter shades. Hansa Yellow pigments have no significant acute hazards, though chronic hazards have not been well studied. 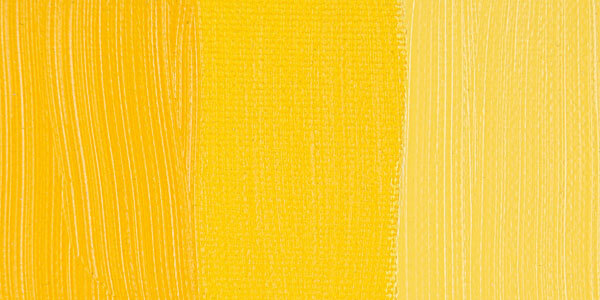 Hansa Yellows were first made in Germany just before World War I from a series of synthetic dyestuffs called Pigment Yellow. Hansa Yellow G, introduced in 1910, was the first of these products to be commercialized. Hansa Yellow G was the standard yellow for printing inks under late in the 20th century, when stronger diarylide yellows began to replace it. It is still used a great deal in packaging, and for air drying paints.